LDPE Clear Drawtape Handle 2.5 mil. Flexo Imprint Note: NFL Approved Imprint Area: 3.4W" x 4.5H". Only 1 side imprinting is possible. 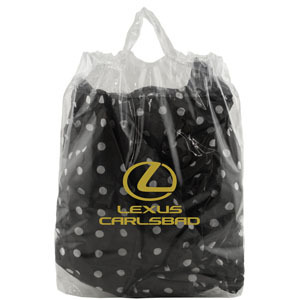 This economical bag is made from 2.5 mil. low density clear film (LDPE) with poly pull draw tape handle and bottom gusset. 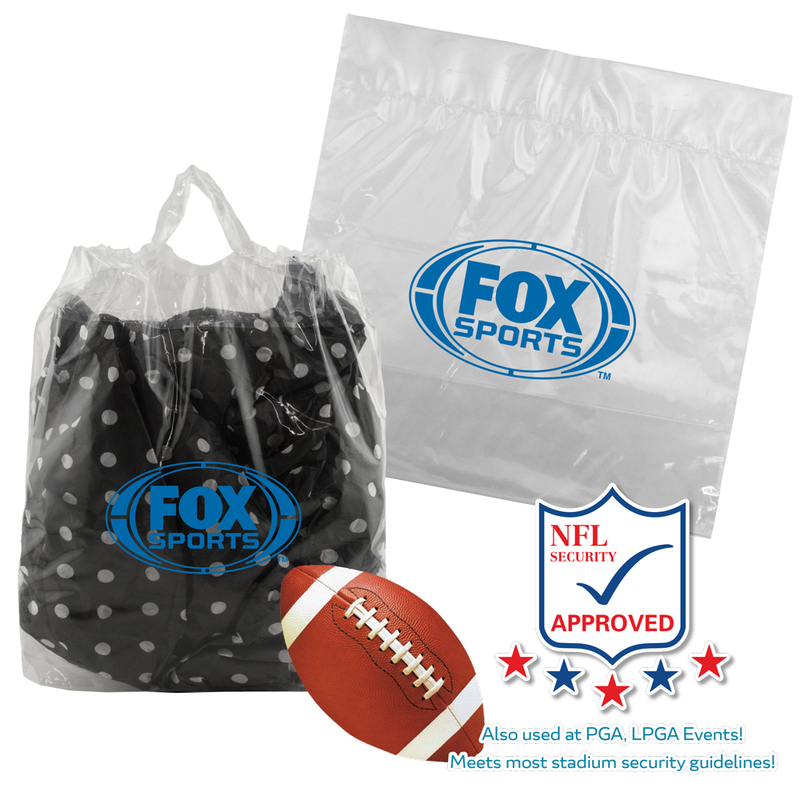 This clear plastic bag is sized at 12x12+6 in order to meet NFL security standards and clarity requirements. The bag thickness also meets most reusable bag standards nationwide. Promote with transparency using this economical bag at sporting events, seminars, school events and more! CLICK HERE to access testing documentation available at this time. PWS wants to support your sales initiatives by providing you with relevant, client-friendly, marketing collateral you can share with your clients. Our Sales Tools are always being updated, so be sure to check this section periodically for content availability. Let's work together to maximize our mutual success! CLICK HERE to access our Zoom Custom Page, where you can personalize and share our current catalog and flyers!